Everything in the school was normal from the outside. It was normal on the inside, too. There were just a few subtle differences distinguishing it from most schools you’ve probably seen. And one major difference. It’s that they kept the bad ones up in the ceiling. The ceiling had a wide-domed roof above it, and they kept them up in those cavities up there if they were “bad” — however you want to interpret the term. They were kept among rows of pink insulation and not much else, or so went the rumors. They wouldn’t stay up there willingly, so a long time ago the school district invested in a set of two long arms and a man or thing to whom those arms belonged. All of the school’s rooms were accessible through a small opening in the dropped ceiling. “Don’t look…or it’ll take you!” signs were taped to walls around the school. They were scary signs. They reminded every student of what was at stake in terms of their learning, and the fine line between learning and being taken by arms, long arms connected to a person? No one really knew for sure. Except for the principal, or so they said. Her arms were short, though, so she wasn’t the one who spent schooldays strongly pulling people up into the ceiling, if learning didn’t occur or if they were “bad.” Still, though, she probably knew who or what was up there, who or what had such long and powerful arms. “Is this about how it’ll take you, if you look?” Mrs. Gladys replied. “I think more people than you think know how it works,” Mrs. Gladys said. She offered the principal a brownie from the tray of brownies she’d made for everyone. Mrs. Gladys was taken the very next day, by the arms. She felt herself hefted up by two hairy-knuckled hands and pulled above into the ceiling. Sometimes you can hear whispers. Whispers of words like: when it’s found you are bad, you need to go up in the ceiling where you don’t die but there’s not much life to lead so maybe you do die. Maybe that’s where you die. This had an effect on the school’s learning environment, both positively by some measures and negatively by some measures. People weren’t as “bad” as they once were. Test scores soared. Teachers never let their guards down and so, it followed, never let their students down. Arms were still needed to lift people up into the ceiling, even though things had improved. The only obvious, identifiable change come with the passage of time was the length of hair on the arms. It grew longer, thicker, and maybe the musculature of the arms grew, too. Maybe those two things were the only two things that changed with the passage of time. The arms were strong, always getting stronger, and made sure to grip tightly so you wouldn’t, couldn’t, get away. 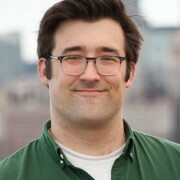 Matt Rowan lives in Chicago, IL, with his wife and two chihuahuas. He co-edits Untoward Magazine and serves as fiction editor of ACM: Another Chicago Magazine. He’s author of two story collections, Big Venerable (CCLaP, 2015) and Why God Why (Love Symbol Press, 2013). More at literaryequations.blogspot.com. This is super great, I really enjoyed the messed up tone. My only complaint: it ends too soon!